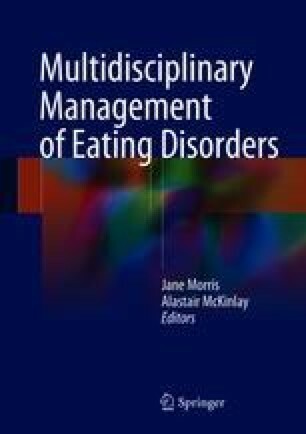 What are ‘severe and enduring eating disorders’ (SEED) and what is their significance in healthcare and in society? How did the concept of SEED arise historically? What are the current views about SEED amongst eating disorders specialists? In which setting is care best provided? Which forms of Psychological Treatment may be of benefit in SEED? What is the role of Mental Health Legislation and other formal structures? What is the role of Family Based Treatment or other forms of family involvement in the support of patients with SEED? How can therapeutic relationships be developed and used to their greatest effect in management of SEED? How can we maintain a realistic but hopeful attitude towards patients with SEED? Is it ever appropriate to withhold life-saving treatment in life threatening SEED? has been Ward Manager of Aberdeen’s Eden Unit since its foundation. She participated in its planning and in the training of the team and continues to sit on the Eden Review Group.